From Maps to Flight Search, Google has been an indispensable part of modern traveling. It seems that Google is testing a new multi functional tourist application. 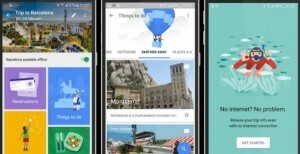 Netherlands Android World revealed that the users of Google Local Guides project are testing on a new software called Trips. It can collect the flights, hotel reservations and other tourist info from users email mailbox and download them to the local files so that users could check their traveling plans without internet connection. It is said that the Guides of Trips are divided into several blocks, for instance, the “Getting around”block offers users the information concerns routine, public transportation, taxi, car pooling and car rental that they could choose to leave the airport when they get off the plane. While “Things to do” block enables users to find the local popular tourist sites, shows and recommended routines on it. Google Maps, on the other hand, plays an important role for Trips as well. What’s more, Trips is also featured with “Reservations” “Food & Drink” and “Need to know” blocks. Android World stated that the Trips app collected the suggestions based on localized users. It also revealed some screen-shots of Trips app. The new app’s design is in accordance with Google’s customary style. It is worth noting that Google just updated its Search software last month, adding a new feature called “Destinations”. It sounds like Trips is an extension of “Destinations” concept. Google just gave a vague response to answer this reveal. It suggested users to continue to apply its Google Flights, Hotel Search, Destinations features to complete their tourist plans. Sun was one of Silicon Valley giants that was established in 1980s. It provided hardware and software for thousands of enterprises.It was acquired by Oracle in 2010. Speaking of the three current giants Apple, Facebook and Twitter in Silicon Valley, they all face pressure to explore market. The public have been concerning the sales of iPhone. Apple last Earnings report indicated that iPhone sales would decline in 2016. The exchange rate problem declined the its revenue in Chinese market. Apple iBooks and iMovies service had been closed in 6 months since being released in China. Jack Dorsey unemployed some employees and reorganized the board of directors since he has been working as CEO again. Its business suffered loss during the reorganization. It might lose more users. Co-founder of lastminute.com Martha Lane Fox became one of Twitter’s membership of board of directors last month. Twitter also teamed up with National Football League to broadcast the live matches. Even though Twitter did not make much profit from these matches, it attracts more potential users to pay attention to its platform. The situation of Facebook is a bit different from the above two companies’. It made different challenge. It attempted to launch VR devices, live video, intelligent chatrobot and areoplane. Not all of them made success. The VR technology is a hot topic this year. There are not many users obtaining a VR device so far. Its has market potential. We don’t know whether its Coulus Rift will be succeed. Zuckerberg claimed it could considerate as success when its sales reach 50 million to 1 billion sets. Apple needs to take measures to stop the declining sales of iPhone, Twitter needs to attract more new users and Facebook needs to adjust its focus on services and projects. Google announced on April 21 that its mobile Chrome browser has got over 1 billion monthly active users. In other words, Android Chrome and iOS Chrome attracted another 200 million users within 5 months. It made great performance to a mobile app which was released under 4 years. This record suprised Google as well. 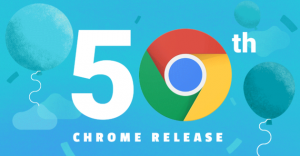 Google has just released Chrome 50 this week though it had not released mobile Chrome 50 yet. To figure out the reason, Google just released the Android and iOS apps in June, 2012. However, all of the platforms can share this feature. The mobile Android users must be more than mobile iOS users though Google refused to reveal the exact users of Android and iOS devices. 1. 771 billioin web pages being loaded each month. 2. 500 billion letters being typed by users each month with the help of search autocomplete feature. 4. 3.6 web pages being automatically translated each month. 5. 9.1 billion times of forms and passwords being automatically filled each month. 6. Protect users being attracted by malicious pages for 145 million times each month. 7. Google granted security study community $2.5 million to improve Chrome’s safety. Google revealed that its Chrome users reached 1 billion at I/O conference in May, 2015. It is obviously that it obtained more users by now. IBM announced the first quarterly earnings of 2016 by March 31st today. The earnings showed that IBM received the total revenue at $18.684 billion based on GAAP. It decreased by 4.6% compared with its revenue in Q1 2015. Its net profit of Q1 2016 was $2.014 billion, decreased by 13.5 YOY. The net profit for sustainable operating business was $ 2.016 billion which decreased by 16.5 % YoY. Its free cash flow in this Q1 was $ 2.3 billion, increased by $1.2 billion YOY. IBM distributed $1.2 billion cash as dividends to its shareholders in Q1 and $ 900 million for stocks buy-back. By the end of Q1, IBM held $14.9 billion cash which increased by $ 6.7 billion compared with 2015. Classified by departments, their increase rate seemed slower and suffered decrease in some important apartments. Its Global Business service department gained $ 4.1 billion revenue, declined by 4.3% before exchange rate adjustment. Its Strategic Imperatives revenue increased by 19% YOY before exchange rate adjustment. IBM predicted that each of its share will profit at least $ 12.35 in 2016 fiscal year. According to the non-GAAP standard, each of its share will profit at least $ 13.5 in 2016 fiscal year. It previous predicted its annual free cash flow will range from $ 11 billion to $12 billion. Its share increased by $ 0.81 till Monday, closing at $ 152.53. However, its share decreased by $ 7.54 on Tuesday. F8 was held yesterday. Mark Zuckerberg stressed that the firm will keep promoting Internet.org and Free Basics during the conference. He did not reveal the development of Free Basics. 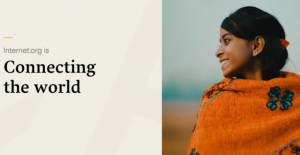 However, Ime Archibong, director of product cooperation and Emeka Afigbo, manager of African product cooperation implied Free Basics did not meet the expectation. It is well known that Facebook released the Free Basics in 37 countries around the world. It quit Egyptian and Indian markets recently as the local departments and internet radical people assumed Facebook violated the Network Neutrality. Archibong announced on F8 that there are 25 million people using Free Basics service so far. It increased by 6 million people in comparison with the data in January. Afigbo claimed that 50 % of 25 million users purchased the traffic within 30 days they experienced Free Basics. This figure excited the team. However, Free Basics service only cover 1.67% of the potential users in 37 countries. It was failure to Facebook. Some of potential users who live in relatively developed regions can access to internet. Therefore, they have no need to use Free Basics service. Facebook has chance to obtain more users for Free Basics in those countries. The 50% conversion rate still attracts many operators and merchants. Facebook introduced a series of new tools to help Web developers optimize websites,such as Free Basics emulator. During its Beta testing phase, Free Basics emulator attracts 500 developers. Free Basics service won’t bring financial burden to Facebook. The cost goes to the operators who cooperated with Facebook. Each of new Free Basics user will be one of Facebook’s membership among 1 billion users. 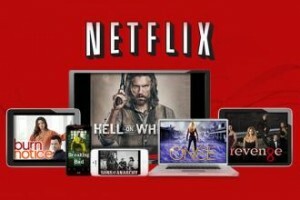 It is reported that all of Netflix subscribers need to pay $9.99 per month if they wish to watch its on-demand contents, unless it increases subscription fee again. In May, a great amount of existing subscribers will see their subscription fee increasing from $7.99 to $ 9.99. In fact, Netflix new subscribers started paying $ 9.99 per month to enjoy its service since last October. In May, 2015, Netflix announced to increase subscription fee from $7.99 to $ 8.99 for new subscribers. It promised that it would extend another 2 years for the old subscribers for charging $7.99 per month. Its promise will be due next month. Netflix old subscribers have to pay $ 9.99 per month in accordance with its new charging standard. Netflix claimed that it will send emails to the related subscribers to notify them for the price raise. It seems many of its existing subscribers forget the news concerning the price raise that made two years ago. Many of Netflix existing subscribers will continue to use this service after the price raise. It sounds reasonable for them for pay $ 9.99 per month. But if Netflix increases the subscription feel to $ 14.99 or $ 19.99, the situation will be different. The amount of movies that provided on Netflix is declining, however, its original contents attract its existing subscribers. Morgan Stanley made a questionnaire survey recently ” Who makes the best original shows or movies?” It turned out Netflix won more fans than HBO did. Netflix officers wagered its future on its original shows and films. Until now, its subscribers love those original content. The statistics provided by AllFlicks showed that Netflix’s original content get higher scores than those it import from traditional televisions. Its original content get an average marks of 3.87 ( full marks are 5). While other content were rated at 3.47 marks. Its original documentary got the highest grade at 4.03, while its non-original documentary only got 3.58 marks. Netflix has been increasing investments on original programmes since 2012. Its average annual increase rate reached 185.41%. By far, Netflix produced 111 original tv shows and films. In January, Ted Sarandos announced Netflix will release about 600 hours of original content this year, including 31 orginal tv shows. CFO David Wells claimed last autumn that original content has strong impact on consumers preference in comparison with authorized content. The latest survey showed that some of Netflix’s opinion were true. Netflix subscribers seem to be interested in original content. The well-being rating of subscribers becomes the index for Netflix’s success. How much profit Netflix made by investing original content? Well, it is hard to say. It costs much to produce the original tv shows and films. It is possibly the reason why Netflix reduces 31.7% of its original content. With the development of online payments, Amazon announced to extend its range of payments system. It marches into online payments market by launching Pay with Amazon service. It announced on Monday it has developed Amazon Payments service to rival other payment terms including PayPal and Apple Pay. With the modification and expansion it made, more online merchants are able to use Amazon Payments service then. The project it made is called Pay with Amazon. Such service allows users to settle accounts by inputting their Amazon account information. They have no need to provide their full name, home address and payment details. The modified Pay with Amazon project could be an option for sellers. Sellers might create more sales by offering various payment terms for purchasers or third party partners. Its Pay with Amazon service will be integrated with Shopify software in orde to attract more retailers and merchants to use. In accordance with its announcement on Monday, it mainly mentioned three major platforms that it worked with, such as Shopify, PrestaShop and Future Shop. It also listed some other companies on its official website. The new service will help Amazon Payments to be an option for hundreds of thousands of online merchants. Only Shopify claimed that it has about 240,000 shops to use its platform. Early in February, Southwest Airlines announced to apply Pay with Amazon feature in order to offer convenience for passengers to purchase entertainment products during the journey. To Amazon, the more deals done with Amazon Payments, the more revenue it obtains. It charges merchant 2.9% of transaction sum as commission each deal, while Square charges 2.75%. There are many payment platforms applied now. 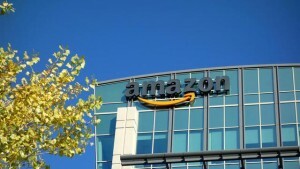 Amazon meets challenge to obtain more market share. Its existing consumers might choose Pay with Amazon service. Why Microsoft didn’t release the applications quantity of Windows 10? Windows 10 has been downloading over 270 million times so far. This feature could be considered as the most attractive one at Build 2016. Its downloading from January to late of March were 70 million times. However, Microsoft still keeps silent for the applications quantity of Windows 10 app store. In November, 2014, Microsoft had 500,000 applications of Windows and Windows Phone at its app store. It increased to 669,000 by September of 2015. It sounded reasonable that Microsoft released its growth at Build 2016 as it is a open issue for developers. However, it did not. Windows 10 made some improvement and its applications at app store has been increased. We should have heard some good news from Microsoft. Microsoft’s Universal Windows Platform(UWP) allows developers to edit applications which are compatible with many devices and different size of screen sizes. The applications which are made on the UWP-based will be able to run on Windows 10 PC/iPad, Windows 10 Mobile smartphones, Xbox One and HoloLens. 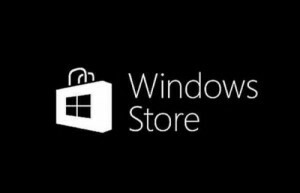 Despite it adds 100 applications at Windows 10 app store, its total applications could be 850,000 or even close to 1 million. Maybe Microsoft will release its data when the applications reach 1 million. Considering Apple App Store and Google Play store reached over 1.5 million applications last year, Microsoft might not release its feature to avoid the comparison. Comparing with its rivals, Windows app store needs to be improved a lot. Microsoft reaffirmed its application strategy is to let Windows applications run on various of devices.